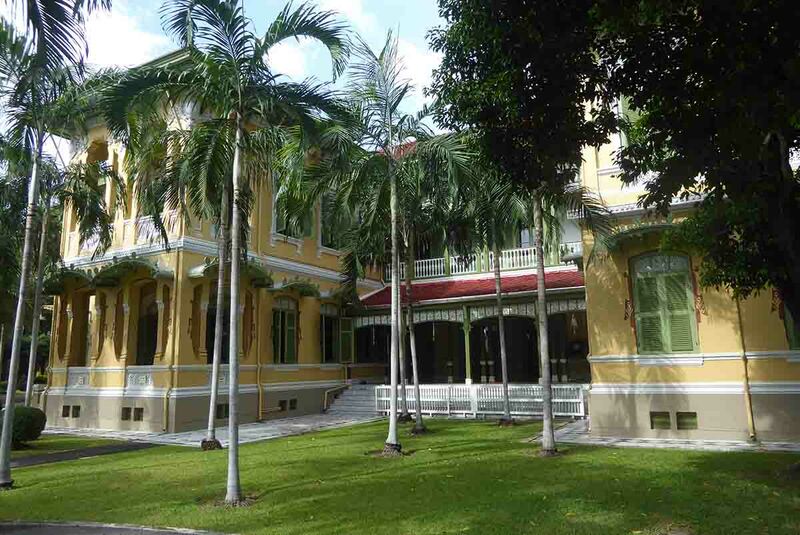 The Parutsakawan Palace – Chitralada Villa complex is in the grounds of the Metropolitan Police Bureau on Si Ayutthaya road in the royal Dusit district. It contains two buildings, Parutsakawan, and Chitralada Villa. The Parutsakawan building is now the headquarters of the National Intelligence Agency (Thai C.I.A.) and is off-limits to the public. 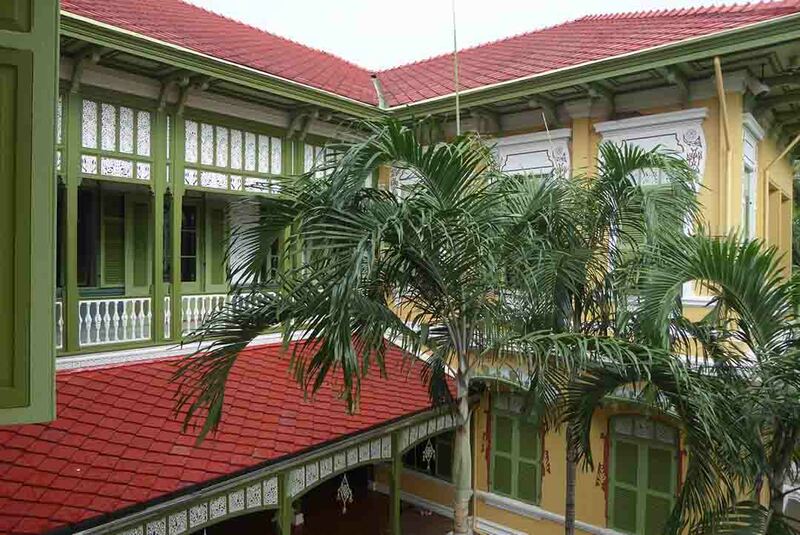 The Chitralada Villa building is open to the public as a museum and features a beautiful Italian architectural style. 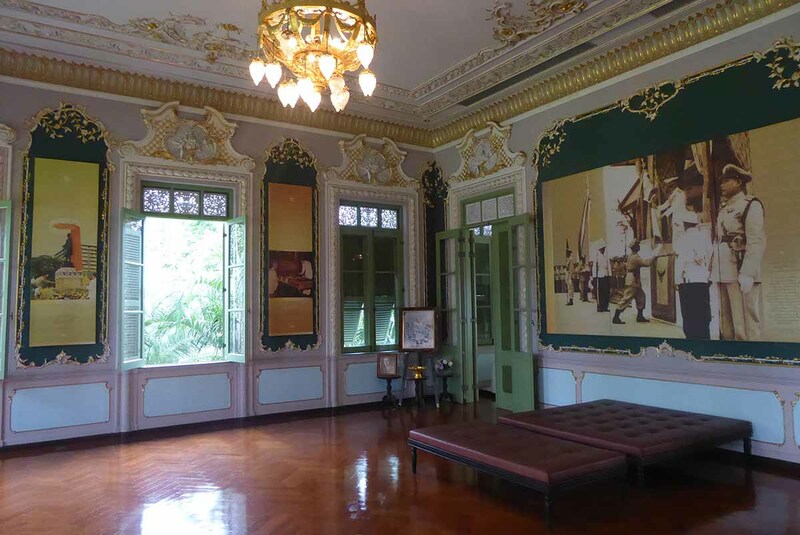 Parutsakawan Palace – Chitralada Villa was built in 1906 by King Rama V. It was a residence for his son Prince Chakrabongse and his Russian wife after they had returned to Thailand after completing his military training in Russia. The Chitralada Villa was completed in 1911 as a residence for another son Crown Prince Maha Vajiravudh (King Rama VI) on his return from military training at Sandhurst in England. The design of Parutsakawan Palace – Chitralada Villa is by Italian architect Mario Tamagno. The exterior was in the style of an Italian villa. The interior is designed and decorated in the art nouveau style. It featured Baroque and Rococo art that was popular in Europe and Thailand at that time. 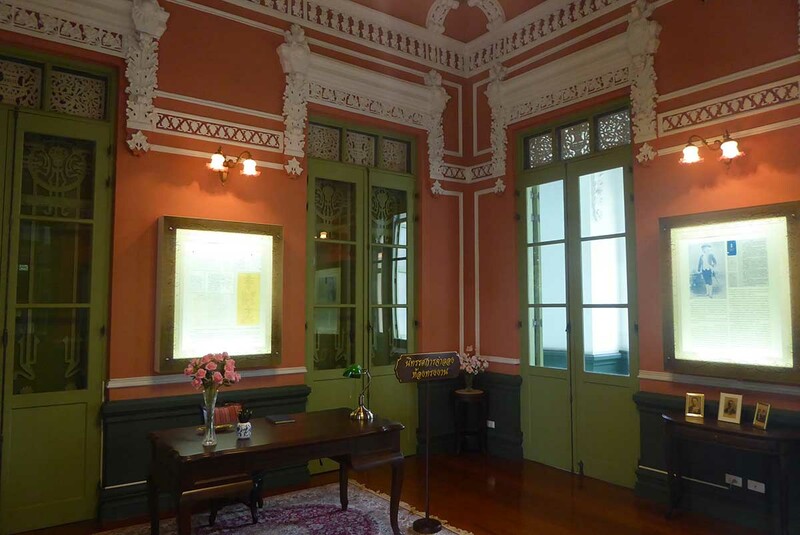 Parutsakawan Palace – Chitralada Villa is beautifully furnished and contains an exhibition on the history and architecture of the palace complex. An introductory video is shown on the ground floor. One of the rooms details the invention of a machine gun stand. The design, by an army engineer, was based on the advice of H.M King Bhumibol. 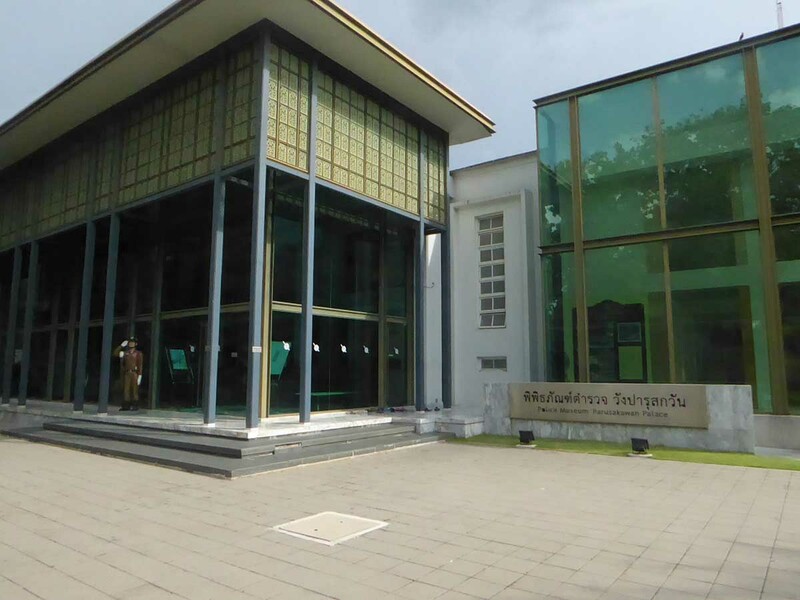 Also, in the Parutsakawan Palace – Chitralada Villa complex is a modern glass building housing the Police Museum. 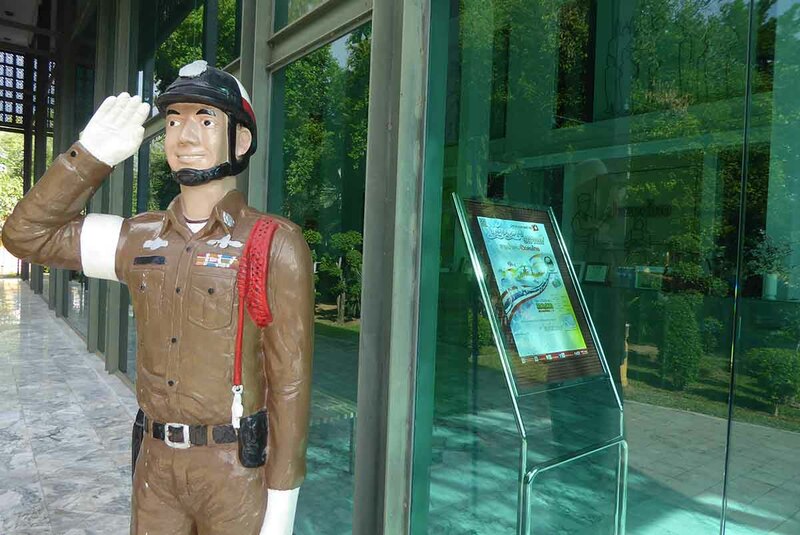 It contains an exhibition of the history and evolution of the Thai police. There are old uniforms, weapons, documents, photographs, and a replica of an old prison cell. Visitors can take photos. Note that to enter the palace you must use the main entrance of the Metropolitan Police Bureau. Security is tight so bring your passport. Location: 323 Si Ayutthaya Road. Opening Hours: 10.00-16.00 Wednesday – Sunday. Rules: You need to bring your passport or a photocopy of the picture page. Your passport will be kept at the front gate and returned to you when you leave. No shoes in the house or police museum. Bus: No. 3, 16, 23, 70, 72, 79, 505, 509. Boat: Chao Phraya Express Boat to Tha Thewet Pier (N15), then 10-minute walk up Si Ayutthaya road.